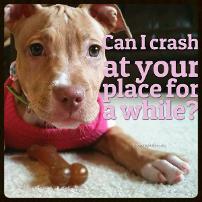 Thank you for considering joining the BCBC Pit Crew! BCBC depends on a small, intensely dedicated team of volunteers to make our programs and events a success. Each success is one step closer to achieving our mission. 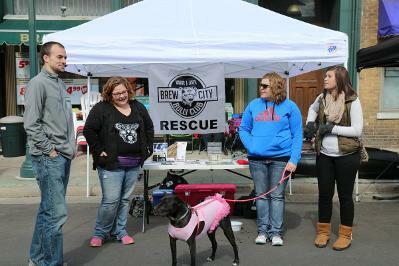 Pit Crew volunteers are essential to BCBC's work in the community - from education and outreach to rescue and fundraising. Volunteers are the hearts, hands and voices of the BCBC in ALL areas of the organization. A crucial, yet basic way to begin volunteering with the BCBC is by staying up-to-date on BCBC programs and spreading the word about events ... so the first step to volunteering is to join our enews and follow us on Facebook! Next step is to attend as many events as you can to get to know the organization, and to give us an opportunity to know you! Then find your BCBC niche and submit an application. Volunteer foster homes make all the difference in a shelter dog's ability to return to normal life. Learn more on the Foster page of the site. If you think you'd like to embark on this exciting adventure, please complete our application so we can arrange to meet with you to discuss this life saving work. There would be no BCBC without awareness and funds. We need people who like to have fun, love big crowds and know how to mingle ... we need do-ers! Volunteers help behind the scenes preparing for our many events & fundraisers each year and help at the events to make sure everything goes off without a hitch! Do you want to Change Minds & Save Lives along side some of the best pit bull advocates anywhere?!? If you're interested in representing the BCBC and pit bulls at all types of community events then this is the volunteer opportunity for you! "Dog season" is May - October and we need many advocates to represent at the numerous festivals, expos, fairs, neighborhood nights out, meetings and walks in which BCBC participates. Check out our Outreach Calendar to see where we'll be! To help us improve the lives of all types of dogs and encourage responsible ownership, we offer low to no cost health clinics on the first Sunday of every month from May to October, at the Rescue Retreat. We need general volunteers to do various tasks throughout the clinic such as: registration, helping owners with their dogs, providing resources, and sometimes just providing encouragement. We also need VTs, CVTs and DVMs who are willing to partner with us to administer vaccinations and microchips to needy owners. THANK YOU for your interest in being part of the solution. If any of the volunteer opportunities listed about interest you please take a few minutes to fill out this form. We love details, so take your time and impress us! Submitting your application offers us an opportunity to get to know you and your interest in our organization. We take volunteering seriously since our mission is a difficult one. Note: The Rescue Retreat Team is rather small, so those volunteer positions are rarely available. Retreat volunteers have also typically volunteered in other capacities and attended many events. Do you have a dog(s)? Tell us a little about them. How did you hear about the BCBC? Do you have a talent that you'd like to volunteer? Photography, Graphic Design, Videography, Etc.? How many hours per month do you have available to volunteer with the BCBC? What are you hoping to gain by volunteering with the BCBC?